Anything that is ‘local’ is generally better in terms of quality and permanence. Let me give some examples: local chicken is tasty, local fruit is hygienic, local vegetable is fresh, and local people make a big difference in your life. What about local literacy? In this short article, I highlight the importance of local literacy in relation to ELT in Nepal. I will also briefly discuss how local literacy in ELT can be promoted in the classroom. Let me start with some perspectives on globalization as the basis of this discussion. Globalization and Local literacy: What? We see that the first view takes Gramsci’s ‘hegemony’ and Phillipson’s ‘linguistic imperialism’ about globalization considering it as a means to disseminate the Western and American economic, cultural, political and educational ideologies. In this sense, globalization is another face of Westernization and Americanization. This view is concerned more with the political and ideological discussion which, as I see, does not make more sense in ELT. But the second and third views have a great impact on ELT. We can relate two major issues – native speakerism and imported method – regarding the ‘standardization’ and ‘uniformity’ in ELT respectively. Standardization here means many things. The most obvious point related to ELT is that in order to maintain standard we have to follow ‘native’ English representing maybe CNN and BBC English. The uniformity can be interpreted as ‘adoption’ of the same textbook, method of teaching and learning material all over the world without considering the ‘local’ socio-cultural context. Although it is accepted that ‘local’ components can also be incorporated in the ‘globalization’, questions which have been ignored are: To what extent we have recognized the value of ‘local’ in ELT literacy practice? Which one (the global or the local) is dominant? How can we bring the ‘local’ into ELT pedagogy? In the remainder of this article, I discuss these issues with reference to ELT in Nepal. Going through various literature and studies regarding literacy (e.g. Wallace, 1999, 2002), we find three major interpretations of local literacy. First interpretation takes local literacy as teaching through local languages. This is concerned more with the anti-linguistic imperialistic discussion pioneered by Phillipson (1992). Second interpretation is grounded on the use of language for daily communication. Teaching of English, in this regard, is considered as a planned and systematic academic endeavor to help ‘local children’ [Nepalese] use English in informal communications outside the classroom. But to what extent, Nepalese children, studying at Grades 1, 2, 3 in rural areas have to speak English while shopping, for example? Does such a projection of the English language as a means to achieve commodity help children achieve true essence of education? These issues are often ignored in academic discussion especially in the global ELT discourse. At the same time, as Cameron (2002) claims, ‘The dissemination of ‘global’ communicative norms and genres, like the dissemination of international languages, involves a one-way flow of expert knowledge from dominant to subaltern cultures” (p. 70). Do the methods we are adopting while teaching English address our children’s values, beliefs and expectations? Are the textbooks that we use for teaching the English language appropriate to our local socio-cultural and politico-economic realities? We cannot answer these questions in a ‘yes/no’ manner. However, we can be realistic while discussing these issues. Elsewhere, Canagarajah (2002) vehemently argues that the global methods of teaching (e.g. communicative language teaching) have created inequalities in the global pedagogical village. Following a single method with ‘fits-in-all-context’ assumption does not really address learning needs and expectations of local children. Moreover, such an assumption does not empower children rather it marginalizes them psychologically and cognitively as well. This clearly indicates that we need to think about exploring our own practices of teaching English which is relevant to our own soil and people. At the same time, I am not claiming that we should not be aware of the global practices. We should be well informed with them but we should critically scrutinize those practices keeping our realities in view. I think I can discuss much about this when I come to textbook issue in the following paragraph. In many parts of the world like in Nepal, textbooks are sole source of teaching and learning English. In that sense, textbooks are the most important component of ELT pedagogy in Nepal. However, it is not bizarre to say that, writing and production of textbooks is the most neglected agenda in Nepal. Let me start with the textbooks prescribed by the government. The textbooks in many cases include ‘foreign culture’ as reading texts and situations for conversation, which are difficult to conceptualize for children, are also foreign in some cases. In a way, such situations and texts take children away from their own context. If our goal is to develop reading skills of children, why don’t we bring the texts which deal with local issues, cultures, realities and challenges? Let us research which text (related to local or global text) is effective for enhancing reading skill of Nepalese learners of English. The textbooks in private schools are more frustrating in terms of local literacy. The global textbooks like Headway/New Headway which are considered to be the global textbooks are prescribed in private schools without any approval from the government. Such global textbooks seem to promote more European and American culture, and project an affluent commodified life style (Gray, 2002). Through the texts like how much Bill Gates earn (New Headway/Upper-Intermediate, 1998) and going on holidays in London, New York, Paris and other expensive cities of the world, the global textbooks are projecting pleasure in life but they are ignoring pain of how a farmer in rural villages works hard to earn and feed his family. Why don’t we have reading texts on holidaying in Jomsom, paragliding from Sarangkot, trekking in Karnali and so on? Can’t we think about including the texts related to Maruni, Kauda, Dhan-nach, Deuda, Goura, Maha-puja, and so on? Are they not useful in teaching English? Of course, YES. On one hand, such texts promote interconnectedness between society and classroom teaching/learning and on the other hand, they help to address precious linguistic and cultural diversity we have. However, we, teachers of English, should always be ready to take the role of ‘transformative intellectuals’ (Kumarivadivelu, 2003) by going beyond our traditional role – teachers as a passive technician in the classroom – to accepting the extended role to show our concern in social reflection and situated practice of teaching English. The above discussion implies that the so-called global textbooks and methods of ELT do not seem to be inclusive and appropriate in diverse world contexts. ELT in Nepal has the same problem. The fundamental reason behind this is that ELT policies we have made are so far shaped by the traditional notion i.e. ELT means teaching about the English language only. But this notion is already obsolete because ‘methods’, ‘textbooks’ and ‘assumptions’ which work better do not fit in other contexts. Moreover, ELT is more than ‘teaching about English’ it is a part of education which is heavily loaded with culture, identity and ideology which need to be scrutinized in relation to local contexts. How we can promote local literacy is another crucial question we need to discuss. I am not expert at prescribing ideas which work better. But I think, Critical literacy and Postmethod Pedagogy are two major approaches which are helpful to promote ‘local literacy’ practices in Nepal. The basis of critical literacy is Paulo Freire’s Pedagogy of the Oppressed (1970) in which he criticises the transmission or ‘banking’ model of education (teachers are depositors and learners are depositories) and advocates for ‘dialogic’ model in which learners are not passive recipient but an active ‘agent’ of whole learning process. We have already discussed this issue in a January 2009 article of NeltaChoutari. The Postmethod Pedagogy (Kumaravadivelu, 2001) is another approach which may be helpful in promoting local literacy in ELT. The three parameters of the postmethod pedagogy include particularity, practicality and possibility. According to the pedagogy of particularity, “Language pedagogy…must be sensitive to a particular group of teachers teaching a particular group of learners pursuing a particular set of goals within a particular institutional context embedded in a particular sociocultural milieu” (p. 538). Similarly, the pedagogy of practicality “does not pertain merely to the everyday practice of classroom teaching. It pertains to a much larger issue that has a direct impact on the practice of classroom teaching, namely, the relationship between theory and practice” (p. 540). Finally, the pedagogy of possibility is concerned with “participants’ experience which draws ideas not only from the classroom episodes but also from border social, political and economic environment in which they grew up” (p. 542). We can see that ‘local realities’ and ‘experiences’ of participants (teachers, and students) are core of ELT in every world context. This indicates that we need to share our experiences to generate more local knowledge which can be a treasure for the whole ELT community of practice. To this end, we have initiated NeltaChoutari as a voluntary work to tell Nepalese ELT stories to the rest of the world. We hope this sharing through monthly publication in future will provide a basis for producing local materials for ELT in Nepal. The looming trend of banishing ‘local practices’ due to acceptance of ‘global practices’ as a granted is one of the serious global issues in ELT around the globe. The notion of uniformity and standardization do not seem to be appropriate in linguistically and culturally diverse world contexts. At the same time, the expectations, values and beliefs of learners should be addressed through all kinds of pedagogy including ELT. In this regard, we should think about the use of locally produced materials and be fully informed with the process of adapting ‘creative and critical instructional practices in order to develop pedagogies suitable for their [our] community’ (Canagarajah 1999 p.122). Moreover, as Holliday (2005) has argued, we should discuss whether methodological prescriptions generated in BANA contexts (British, Australia, and North America) have ‘currency’ in our contexts, whether they are locally validated or appropriated. In this sense, whole idea of local literacy in ELT is concerned with the idea of (re)generating locally appropriate methods of teaching, (re)producing local materials using local resources and incorporating local issues and identities and accommodating learners’ experiences through a dialogical process in the classroom. I am not saying that the ideas discussed in this article address all dimensions of local literacy nor I am saying that we should not be aware of global issues. What I am saying is our full dependence on global methods, norms and textbooks in ELT may not help to promote and sustain our identities and treasure of local knowledge. What I am saying is that we have wonderful ELT practices that we are not able to share with the people from other parts of the world which we need to do urgently. Let me give some example: we have very precious linguistic and cultural diversity in which English is being taught as a foreign language. We have been teaching under the shade of tree and sometimes in the open sky. We have been teaching more than 100 students in the same classroom even without chalk, duster and blackboard. We are teaching students who come from various linguistic, ethnic, religious, cultural and socio-economic backgrounds. Don’t you think that such realities and experiences are important source for teaching English? Of course, they are. We need to document these experiences so that other members of ELT community of practice will benefit a lot. Why don’t we take initiation of using local cultural texts (in addition to the texts given in the textbooks), for example, to teach reading and writing skills and see how it works? Can’t we bring stories of child labor, gender discrimination, inequality, poverty and so on to teaching English in the classroom? Of course, YES. But we need to work hard to achieve this end. We cannot make changes overnight but if we collaborative through different means like NeltaChoutari we can accomplish so many things for better ELT in Nepal. Finally, the future of ELT in Nepal will be even better if we don’t consider teaching of English not simply as teaching about the English language but also as part of education that aims to empower children and to bring some positive transformation in the knowledge-based society. I argue that English teachers are not merely ‘classroom teachers’, we are ‘agent of change’. This is possible only when have a strong foundation at local level. We can access global means only with the strong ‘local foundation’. I would say that the best ELT practice is the practice which accommodates local realities and helps learners to link them with global ones. For this, we need to be aware of maintaining balance between local and global. Block, D. & Cameron, D. (2002). Globalization and language teaching. London: Routledge. Block, D. (2008). Globalization and language education. In S. May and N. H. Hornberger (eds), Encyclopedia of Language and Education, 2nd Edition, Volume 1: Language Policy and Political Issues in Education, 31–43. Springer Science+Business Media LLC. Bourdieu, P. (2001). Contre-feux 2. Paris: Raisons d’agir. Cameron, D. (2002). Globalization and the teaching of ‘communication skills’. In Block, D. & Cameron, D. (eds.) Globalization and language teaching. London: Routledge. Canagarajah, A.S. (1999). Resisting linguistic imperialism in language teaching. Oxford: Oxford University Press. Canagarajah, A.S. (2002). Globalization, methods and practice in periphery classrooms. In Block, D. & Cameron, D. (eds.) Globalization and language teaching. London: Routledge. Graddol, D. (1997). The future of English? London: The British Council. Gray, J. (2002). The global coursebook in English language teaching. In Block, D. & Cameron, D. (eds.) Globalization and language teaching. London: Routledge. Kumaravadivelu, B. (2001). Toward a postmethod pedagogy. TESOL Quarterly, 35/4, 537-560. Kumaravadivelu, B. (2003). Beyond method: Macrostrategies for language teaching. NewHaven, CO. Yale University Press. Norton, B. & Toohey, K. (Eds.) (1997).Critical pedagogies and language learning. Cambridge: Cambridge University Press. Phillipson, R. (1992). Linguistic imperialism. Oxford, England: Oxford University Press. Phillipson, R. (2004). Review article: English in globalization: Three approaches. Journal of Language, Identity & Education, 3:1, 73 — 84. Wallace, C. (1999). Critical language awareness: key principles for a course in critical reading. Language Awareness 8, 2:98-110. Wallace, C. (2002). Local literacies and global literacy. . In Block, D. & Cameron, D. (eds.) Globalization and language teaching. London: Routledge. Your article highlights a very important issue in the teaching of the english language. To promote teaching of English rather than the teaching about English local realities should be encouraged both in context and methods. For this matter generation of local knowledge and promotion of it through textbooks and teaching methods is very important. The next issue I liked about this article is the linkage between society and classroom teaching/learning. 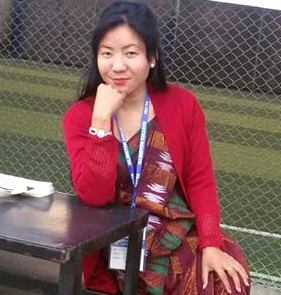 We EFL teachers in Nepal have never worried about the happenings around our learners’ society. Hardly do we try to take the cases from the society to teach the language. We are just VOMITING the (memorized) chunks from some foreign books/materials which are alien to them. How can we expect a first grader (five-year-old) to understand the words and ideas used in American or British society? Yes, I agree, teaching language is also teaching the culture of the native speakers of that language but can aren’t we neglecting our own culture and identity in the name of language learning? The private schools are the most careless agents passing this alien culture to the future generation. May be because of the socio-economic status of the English language and the culture of the westerners associated with it is luring them to do so. So. in this regard, we need to be educators rather than just the tutors to our students. This issue is also relevant at the moment because everyone in the country is talking about maximum localization of the presence of the state and the resources and why not the MAXIMUM PRESENCE OF THE LOCAL CULTURE??? I am very glad to read the webzine NeltaChoutari from Rautahat. Supporting the comments made by Mr Ojha, I would like to thank Prem Sir for the creative and wonderful article. Mr Prem has critically presented the need of local issues in English language Teaching of Nepal. The ideas and visions that he had brought should be taken positively and acted accordingly in order to preserve and promote our culture, language and lifestyle. I do not stand by the opinions by Prem Sir that localization has not taken place in English Language Teaching of Nepal. It took place but in greater deal. When you turn the pages of Our English Book of Grade 8, you will find the description of different places of our Nepal. There is a hot air balloon that flies from Kathamandu to Lumbini, Parsa Wildlife Reserve, Janakpur, Koshi Barrage, Muktinath and many other places. A good description of the importance of each place is given. One anecdote related to the disco dance of Thamel can be read in Grade 9. Likewise, Good information of local festivals Sama Chakewa, Chandi Naach and Teej has been mentioned in Grade Ten. This is localization in English Language Teaching. Localization in ELT in Nepal has started and it needs to be continued and promoted in higher levels as well. Borrowing foreign textbooks for our classes has become culture in Nepal. It is high to minimize the culture. This is due to the fact that most of ELT practitioners from Nepal are still in illusion that knowledge comes from abroad or the books written by foreign writers. I would like to talk about sustainability. Here sustainability means in terms of knowledge. The localization in ELT will help students in getting their knowledge sustainable. When knowledge is sustainable in students, this will sort out the trend of chitting in examination. Nepal is a multilingual, multi-ethnic and multi-cultural country. There are a number of folk tales and historical events here. The country is very rich in natural resources. It has many wonderful things that really wonder the rest of the world. They can no doubt be included in our text book of English from primary to higher level. Last but not the least; let me congratulate Prem Sir for raising the critical issue in Nepalese ELT. Laxmiji has spoken the minds of most of us in his comment on Prem’s post. In theory at least, we’ve been certainly talking about “local” epistemology, local culture, local needs, local methods, and even local theories/perspectives; but we are a long way away from seeing practical changes in our curriculum and pedagogy. Boardings–a mixed blessing of our society–have often promoted local culture in extracurricular activities, but in the substance and medium of education, they have destroyed the respect for our own languages, cultures, and epistemologies; scholars of education, especially in the field of English, hesitate to talk about the educational disaster brought about by “rote learnt” distinctions and first divisions because our own livelihoods depend on the special language that we know. Most of us are not willing to be the Kalidas who will strike the trunk of his own professional tree, sitting on the branch above. A fundamental social phenomenon is also behind why we see English as sacrosanct: like Sanskrit that Bahun leaders of the society used to transmit to their generations while half understanding it themselves, English teachers are today transmitting a culture of using English “only” in education without regard to whether research or experience shows relative merit of English medium to using local languages. We would also rather let our students read a Wordsworth poem and help them join the global community of daffodil lovers who may have not seen or have much to do with daffodils than to make education and indeed the English language useful and relevant to students’ lives, and in the long run to that of our society’s. Our national obsession with English may be completely understandable, but our terrible lack of critical assessment/analysis, research, and policy debates on the interplay of English as a language (we need it) and English as “education” is unsustainable. I think that while very few people will even care about issues like this at the policy and curriculum level, we teachers can certainly discuss what WE can do about this situation–that is, as I remember reading in a play somewhere, “While waiting, how about starting a revolution!”… at least at the discussion level. We seriously need to start looking into the eyes of our children’s English teachers, as well as one another because that’s who we too are, and ask: hoina hau, angreji ra sikshya bhaneko eutai kura ho ra? In this article, Prem sir is good at showing his interest in localization of ELT content in particular. I was looking for how he could relate his ideas with postmethod pedagody to deal with that content. It would have been relevant if he had focused on constructivism in ELT to promote POSTMODERN ELT situation in Nepal ; it’s really awkward to say something without having indepth understanding based on empirical evidence – for instance, as grade 8 English has all localized contents, how teachers teach it is the matter of ELT concern but he hasn’t talked about it. The nature of artical seems to be loaded with cricical postmodern paradigm in ELT but I couldn’t find proper connection with it. However, I respect his interest in postmodern ELT. Thank you so much for your thought-provoking comments on my article. I really appreciate your comments. Let me share some of my ideas that I had discussed in the article. First, I have to say something about why I have not mentioned anything about constructivism as you have strongly claimed that it should have been discussed. The whole idea of constructivism is that people ‘will make their own learning sense of the ideas and theories with which they are presented in ways that are personal to them … each individual constructs his/her own reality’ (Williams and Burden, 1997:2, in their book is Psychology for Language Teachers: A Social Constructivist Approach). This indicates that language learning takes place only when learners are given chance to construct their own mental representation of an object, or an event or any materials or texts or activities which are presented in the classroom while teaching language. In brief, the whole language learning process involves constructing and testing learners’ own representation of the world then fitting those representations into their frameworks. In this connection, Jon Roberts (1998), in his influential book ‘Language Teacher Education’, clearly mentions that ‘constructivism views the learners’ inner representations of the language system, their ‘internal syllabus’, as mediating input and structuring the course of language acquisition’ (p.24). One of the major implications of constructivism in ELT is that we need to have process-oriented syllabuses which address inherent psychological capacity of learners while helping them to learn by using their own learning strategies with their preferred methods of teaching. Now I have some questions which may justify why I have not mentioned constructivism rather I discussed some aspects of addressing local literacy by using locally developed materials which can accommodate local realities. The questions are: Are our syllabuses process-oriented which allow the conversion of constructivism into the classroom practice? Are our syllabuses flexible enough that teachers can make changes (e.g. materials and assessment techniques) in order to address emerging needs of learners during the language learning process? Second, constructivism does not always promote negotiation and mediation in language learning. That’s why people like Vygotsky and Lantolf came with the idea of ‘social’ constructivism to discuss issues of language learning from socio-cultural point of view. One of the major weaknesses of constructivism is that ‘it has very little to say about the affective aspects of learning, … and skill learning, or about culture and power in the classroom’ (Bell and Gilbert, 1996: 54). Moreover, constructivism seems to be limited as it focuses 0n ‘inner process and thereby abstracts the person from the socio-cultural landscape in which they live and work’ (Roberts, 1998: 28). Considering these two major lapses of constructivism we can say that, although it addresses personal changes of learners as an individual, constructivism is not a helpful stand to address the tension and power relationship between ‘global’ and ‘local’ literacy practices in ELT (See related article in May 2009 issue of NeltaChoutari). . We all know that there are methods, and materials of teaching English which are produced in the west and we are following those methods and materials. I am not saying that we should not follow those methods and materials. What I am saying is that we should also look at socio-cultural relevance of those methods and materials. Thank you Surendra sir for bringing the example of Grade 8 textbooks where we can find some cultural texts especially festivals. This is an encouraging effort. But in the same textbook we could see so many alien concepts built on the foreign culture which students may find difficult to conceptualize. Again I am not saying that we should avoid global cultures what I am saying is that there should be a balance of both. But we should start from local ones. There is another issue: Who should own teaching and learning of English in Nepal? Of course all of us who are teaching and learning English. This is possible only when we will make a critical scrutiny of methods and materials that we are using from the soci0-cultural perspective. The power relationship between ‘global’ and ‘local’ practices cannot be addressed from constructivism point of view. At the same time, the idea of local literacy does not only mean to include local cultures in the textbooks. How are they being taught? How do learners feel about them? Whether teachers are able to address multicultural realities by using those model local cultural texts or not? These questions are really important for developing local practices of teaching English in the multilingual and multicultural context of Nepal. I haven’t mentioned anything about the POST MODERN ELT in my article. For me postmodernism has become a buzz word now. What I have mentioned in the article wasPOST METHOD PEDAGOGY which, I think, can be a framework for assessing ELT practices in Nepal and look for alternatives. What we should not confuse ourselves is that Post Method is not a method of teaching like Audio-lingual method, communicative language teaching and so on that we can practise in the classroom. Rather it is a pedagogy which considers that any method of teaching should be relevant to socio-cultural contexts (particularity), theories should be applicable into practice (practicality) and teachers should adapt (not adopt) methods for their effective implementations in the contexts where they are teaching (possibility). I have also mentioned how literacy practices can be situated a practice by giving reference of critical pedagogy. For more details you can read our previous issue here http://neltachoutari.pbworks.com/w/page/7793326/January-2009. Finally, let me reiterate what I said in the article: I am not saying that the ideas discussed in this article address all dimensions of local literacy nor I am saying that we should not be aware of global issues. What I am saying is our full dependence on global methods, norms and textbooks in ELT may not help to promote and sustain our identities and treasure of local knowledge. I would say that the best ELT practice is the practice which accommodates local realities and helps learners to link them with global ones. For this, we need to be aware of maintaining balance between local and global. Towards this end, bringing in local culture in the textbook is a tiny attempt but not sufficient in the context that our practice of teaching English is largely influenced by global methods and materials. I hope this brief account helps to make my points clear. I appreciate if you share your views on this blog in future as well. This is how we generate knowledge for local literacy. Thanks for your reply. You could share your ideas on constructivism. Prem sir, I haven’t focused on the ideas of trivial group of constructivists such as Piaget and Bruner; according to our choice, we can follow the ideas presented by Vigosky and Bandura (social group) or Preire and Habermas(critical group) or any other or your own. It is ELT teacher’s duty to facilitate students. Our teachers don’t have much idea of constructivism, which is a learning theory based on postmodernism . The concept of postmethod pedagogy and local literacy are grounded on postmodernism. Once the teachers have General Pedagogic knowledge, subject matter knowledge and pedagogical content knowledge, I think that they can teach any language in a better way regardless of whatever textbook they have – they can create a lot of textbooks themselves in their surroundings. The most important thing is that they should know how to teach language constructively. Thank you Prem sir, once again. Cheers and have a good time! !